The Liberal Arts and Sciences faculty at the University of Iowa passed a resolution calling for all nine members of the Board of Regents to resign, an expression of their dissatisfaction with the hiring of a businessman to be the university’s next president. Bruce Rastetter, the president of the Board of Regents, is not resigning. “Our official reaction is no comment and we appreciate that they have the right to say and do whatever they want to do,” Rastetter says. 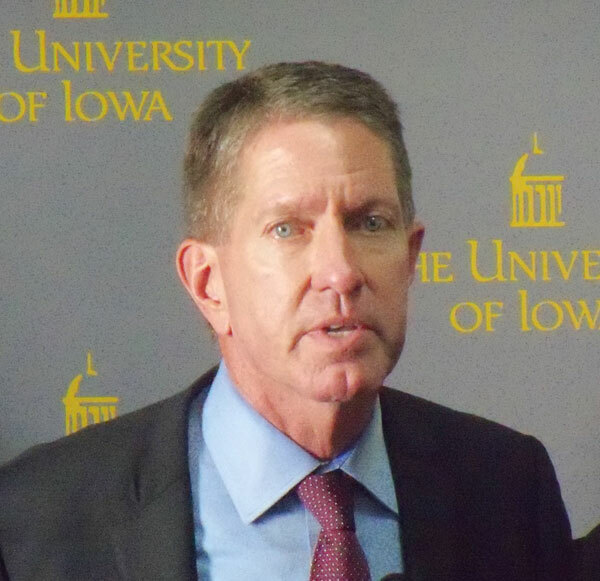 The resolution from the University of Iowa Liberal Arts faculty also called for the dismissal of Rastetter and thr rest of the Board of Regents, something Governor Terry Branstad said yesterday that he does not have the authority to do. Today, Rastetter says the Regents “are going to support the university” and its new president.